Retains Metadata like Email Properties, Contact Fields, Calendar Etc. 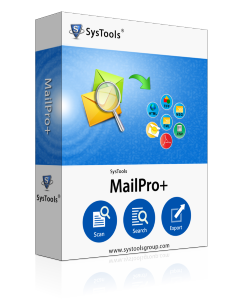 Apart from Outlook OLM Emails to MSG files, the software converts OLM files in more than seven file formats. Fill the form to add new collection. It requires following details such as Title, Collection path, description. Choose file/folders to export from mbox file to pst. Select pst file format from list and then browse location to save file. Finally, click on OK to start process. I am working at big IT company which engage in managing the confidential data of the different departments of the government. For extended security, we are using the Mac iOS in our company. For the email communication, we rely on default Microsoft product. All are working good but yesterday our boss has called up all executive members for an important meeting. He strictly ordered us to take the backup of all email data in the format which can be accessible in the normal file in case we have an emergency. From now onwards I’m looking up for the solution that has the ability to conquer my problems instantly. Does the software sustain the confidentiality of data? Is there any option to remove the duplicates items? What are the possible remedies if data during the process get leaked? Can I maintain the same folder hierarchy as in my default OLM file? Does the OLM to MSG converter provide any facility to name the MSG using different naming conventions? I have gone through the certain request for the solution that can quickly configure OLM file to MSG file format as there is no manual method available which can help to convert OLM file to MSG easily & quickly. Now you do not have to bother more for the perfect solution. This is because OLM converter now available which you can download for free online. It sustains the confidentiality of OLM emails as well. It allows to remove the duplicates emails and provide the functionality to maintain the default file structure of OLM file. In any circumstance, the OLM converter does not lose or leaks the data. Apart from these extraordinary features, it provides the facility to sort your email according to multiple attributes and extended naming conventions to manage & organize the email data properly with ease. What if I only want to convert the emails exchanged in the past 3 months? You can go for Date Based Filter and apply it during the conversion of your OLM file emails. OLM to MSG conversion will only take place for the emails falling in the defined date range. How can I convert the OLM emails to MSG if it is corrupted? Is it possible to convert multiple OLM files in one go? You can select multiple OLM format files with Bulk File Selection mode and convert messages from them to MSG format. Can I test through Converter OLM to MSG once before purchase? Yes, you can download the trial version of the software free and test the tool along with all its featured options. However, there will be certain limitations imposed as part of the demo limitation. Best thing about OLM Converter is that it is a standalone application and also doesn't require a Mac OS environment for it to be run. The application runs great and works at a good speed, which helped me finish the task within a couple of moments itself. "To create the backup of Mac Outlook OLM file which can be useful in the recovery of data in case of any data catastrophe or disaster. Other ethical reason, If you want to access the Mac Outlook emails on Windows OS. For this, you have converted the OLM to MSG format then import it into Outlook. For all of the above-mentioned reasons you definitely need the OLM to MSG Converter software.